There is nothing new about IRS lawsuit scams. They’ve been around under one guise or another for several years now. Fraudsters are, however, evolving more sophisticated methods to dupe unsuspecting victims. One of their new methods is to deploy automated messages. These messages are claimed to be from the IRS when in fact they’re simply what the IRS refer to as “robo-calls”. These calls inform the victim that the IRS is filing a lawsuit for unpaid bills. The IRS has repeatedly said that they do not inform individuals of direct lawsuits. This is not how they operate, period. Yet more and more people are falling for the trap, with calls luring more and more people into situations where they lose millions of dollars. Millions of dollars, you say? Yes, it really is in the millions! For example, in the year to 2014, there were 90,000 complaints to the IRS about scam calling, with 1,100 of these being victims. It is estimated that, over that period, $5 million was extracted. So their methods work. It’s up to the IRS to catch up, to inform the general public about how they work and to anticipate future fraudulent methods by these scammers. Encouraging the public to become more vigilant is one such prophylactic method, for instance. There has been a recent upsurge in IRS lawsuit scams of late, with a particular peak in August of this year. The targets for such calls has become more and more indiscriminate, and, in some cases, several members of the same family have been targeted. As we alluded to earlier, there is no one specific target. 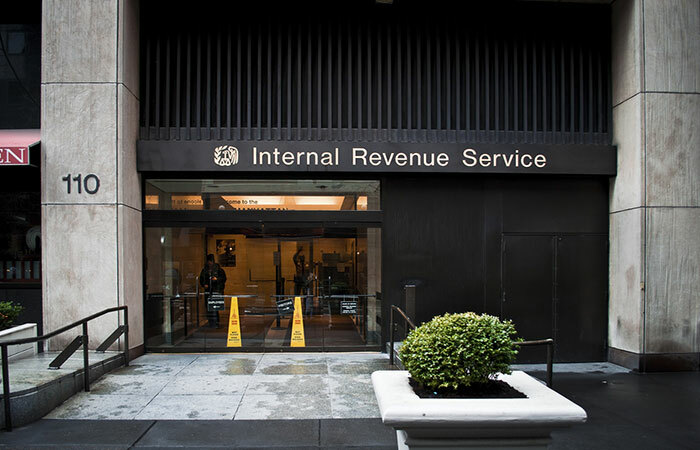 In earlier IRS lawsuit scams, the perpetrators would directly talk with their victims, often deploying personal data in the hope of persuading the victim – such as knowing part of the victim’s social security number. There have also been cases where victims in the IRS lawsuit scam have been told they’re entitled to a refund. This version of the scam is particularly effective, not least because many families may have thought they were owed, or may have existing financial difficulties. This encourages victims to pass on information to IRS lawsuit scam perpetrators. These days, though, victims are chosen almost at random, in a wholly indiscriminate manner. The vast majority of people understand that these calls are scams, but it only takes a minority for the scam to succeed. As we earlier learned, in 2014 it was just 1,100 victims (out of 90,000) who lost $5,000,000 which is an average of $4,500 per victim. While they’re entitled to a case against the fraudsters, it has become saliently challenging to find the perpetrators given the nature of their crime. However, there are ways and means to prevent a scam from taking place. First and foremost, citizens should not answer calls that they know (perhaps through the number calling) are not from the IRS. Take note of the official IRS phone numbers, in other words. Taking the call, while tempting, can prove disastrous. IRS Lawsuit scam fraudsters use a method known as ‘data mining’, a means by which they can extract data from the very act of remaining in a call with the victim. If you are called by anyone claiming to be from the IRS, ask for the employee’s name, badge number, caller ID, and call back number, then hang up. You can call 1 800-366-4484 to verify this information with them. If the employee is who they claim to be, you can call them back safely. Also, take the time to learn how the IRS and IRS lawsuit scam works. They have uploaded a clear and concise guide on how they contact members of the public. The IRS go to great lengths to identify what they do not do – methods that should trigger alarm bells if you encounter them at home. Always, always remember that the IRS will never call you without other attempts to contact you in another method. The IRS always contacts citizens through the mail first, never through the phone. Taking these steps, and using plain common sense, can go a great way toward mitigating the risk of being frauded in an IRS lawsuit scam. You can find more info on the 2016 IRS Lawsuit Scam here. If you have been called by a scammer claiming to be from the IRS, you should report the IRS scam to the Treasury Inspector General for Tax Administration. You can report any attempted IRS scam by phone to 1 800-366-4484 or via the TIGTA website. Remember that if the IRS has an issue with your tax payment, it will always contact people first with a mail notice, never via the telephone, email, or social media. If you have been contacted first through any one of these means, you should be aware that you are probably experiencing an attempt at an IRS scam. Report any such contact to TIGTA. The Treasury Inspector General of Administration (TIGTA) has reported that, since October 2013, there has been almost 900,000 reports of IRS lawsuit scam calls with up to 5,000 victims – a number of victims that translates into a loss of $26.5 million on their part. So what are these IRS lawsuit scam victims entitled to? Unfortunately, there is very little that victims can do. The nature of the crime is such that actually finding the perpetrators is extremely challenging, particularly as their methods evolve with increasing sophistication with each passing year. Many of the calls come from overseas, with victims wiring the money to the con artists. This can make it even more difficult. Law enforcement agencies can attempt to track the collection of these wires, but it’s by no means certain that they will actually catch the perpetrators. Prevention is often the best cure. US citizens should remain vigilant, know where they stand with the IRS, and inform themselves of how the IRS engages with members of the public.